The Korean civil court system is divided into three levels: district courts of first instance, High (appellate) Courts and the Supreme Court. In addition, there are special courts such as patent courts (at the level of the High Court), family courts and administrative courts (at the level of the district courts). 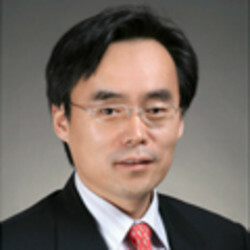 The three-trial system is applied to civil cases in Korea and the jurisdiction of court is determined for each level. District court cases can be heard by a single judge or a panel of three judges depending on the size of the claims. A panel consists of a presiding judge and other judges (namely, associate judges). In some cases, a presiding judge may delegate to an associate judge certain matters such as the handling of preparatory process, settlement recommendations, evidence examination outside court, etc. A presiding judge is in charge of a case under the law, and for each case, one of the panel judges is designated as the chief judge to review the documents and prepare the court’s decision. Korean courts generally adopt the principle of pleading where a party to litigation should collect and submit the litigation materials (eg, facts and evidence) and the court should consider only such litigation materials collected and submitted by the party. However, such a principle of pleading is limited to the method of presenting facts and evidence, and the court (judge) has discretion to evaluate the evidence and make its decision based on the facts asserted by parties. The principle of pleading is based on the assumption that both parties have the equal and perfect ability to litigate the case. However, such ability is not equal or perfect in reality. In order to overcome such flaws in the pleading principle, a court aggressively exercises its right to request an explanation or to conduct discretionary investigation on certain issues, such as confirmation of jurisdiction and laws. ‘Right to request for explanation’ means the court’s authority to ask, demand or make inquiries in order to clarify relevant issues, or both, so that a party may present its argument as to certain legal issues that the party has not noted before. Since January 2008, Korea has implemented the system for citizen participation (jury trial) in criminal cases on a limited basis. However, citizen participation in trials is not available for civil litigations such as product liability litigation. A plaintiff’s filing of a written complaint to the relevant court and the delivery of the complaint to the defendant commences the legal action. Such a written complaint should contain the remedies sought by the plaintiff (eg, performance such as payment, or prohibition order) and factual and legal grounds supporting the requested remedies, and names and addresses of plaintiff and defendant. The defendant should submit a written reply within 30 days of the date of receipt of the complaint (article 256 of the Civil Procedure Act (Act No. 547 of 4 April 1960, as amended)). If a defendant fails to submit its reply within the 30 days, the court may render a decision, without holding any pleadings, based on the assumption that the defendant has admitted plaintiff’s claims (article 257 of the Civil Procedure Act). Once a defendant submits its reply, the court sends a copy to the plaintiff within three to four weeks (usually with an order to submit the preparatory brief and evidence). Until the end of the hearing, the parties may make their written submissions at any time without restriction. There is no pre-filing requirement (eg, mandatory mediation) to be satisfied before a formal lawsuit may be commenced by the product liability claimant. A product liability claim can be filed directly to the court. In Korea, there is no summary disposition such as a motion to dismiss or motion for summary judgment. After one or two exchanges of briefs between the parties, the court sets the date for a hearing or preparatory hearing, which usually takes three to five months from the filing of the claim. Preparatory hearings used to be a mandatory requirement, but are now selectively applied by court since the amendment to the Civil Procedure Act on 26 December 2008. Despite this amendment, courts often hold preparatory hearings in cases that raise complicated or important issues. Preparatory hearings involve presentation of parties’ claims and main issues, requests for evidence, etc, and are conducted by a presiding judge or an associate judge. Preparatory hearings are usually held once but can be held two or three times if necessary. In Korean civil litigation proceedings, there is no concentrated trial or hearing that lasts for a number of days in a row. Main hearings are usually held once a month and involve presentation of arguments by both parties and examination of evidence. Parties should submit their claims in writing (article 272 of the Civil Code (Act No. 471 of 22 February 1958)) but, recently, oral argument has tended to play a more significant role than in the past. Methods for evidence examination include written submission, witness examination, inspection and appraisal, among which the written submissions and witness examination are most commonly used. Witness examination starts with the examination by the party that called for the witness, followed by cross-examination by the opposing party and supplemental examination by the court. In practice, witness examination takes about 30 minutes for each witness but may take longer than one or two hours if the case involves complicated facts or issues. Based on the consideration of the witness and the evidence to be presented by the witness, court may substitute witness examination for a written statement by witness (eg, a notarised affidavit). Although the Securities-Related Class Action Act (Act No. 7074 of 20 January 2004, as amended), which can be applied to certain illegal acts (eg, false or insufficient filing of securities reports or business reports, etc), has been effective since January 2005, there is no general class action system in civil proceedings in Korea (including product liability cases). The ‘appointed-party’ system in Korea has some similarities with the class action system but is differentiated because, under the ‘appointed-party’ system, only those participating in the trial can enjoy the court’s award. After the filing of the complaint, it usually takes three to five months for the court to designate the hearing (or preparatory hearing) date. The trial court’s decision usually takes eight to 12 months from the filing of the complaint but may take longer if the case involves complicated facts and issues. For example, in a cigarette case in Korea, the complaint was filed in 1999, the trial court’s decision was rendered in 2007 and the appellate court’s decision was made in 2011. There are no pretrial discovery proceedings in Korea. However, during a trial, a party may request the court to make a document production order. Also, preservation of evidence may be permitted upon the application of a party if the court recognises the existence of exceptional circumstance where the evidence should be examined beforehand because the evidence cannot be used after the trial starts. Evidence may be submitted to the court in the form of witness testimony, written documents, party statement or an expert report or statement. A party may submit materials rebutting the evidence submitted by the other party. Prior to witness examination at the court, a party requesting witness examination should submit the contents of its examination to the court and the opposing party. The opposing party should prepare its cross-examination in writing and submit to the court at the time of cross-examination. This procedure also applies to expert witness examination. Credibility and value of the evidence can be disputed by the opposing party who can impeach the person who produced the evidence, submit its own evidence rebutting the disputed evidence and request to examine its own witness. When expert knowledge or experience is necessary, the court may appoint an expert as an appraiser at its discretion or upon request by a party. Each party may recommend to the court a certain expert or institution of expertise. In the appraisal process, each party may send inquiries to the appointed appraiser through the court and request for examination of the appraiser regarding the report submitted by the appraiser. Separately from the appraisal conducted by the court-appointed appraiser, a party may submit the written report of its own expert and call him or her as a witness. A party may submit its own witness report or statement without restriction, and the court has the discretion to determine whether a party expert should be selected as a witness upon the request by a party. Under the Product Liability Act (Act No. 6109 of 12 January 2000 (the PLA)), a manufacturer is liable for damages to life, persons and property caused by product defect. Damage to the product itself is excluded from the ‘damage’ under the PLA. The PLA does not define the scope of damages and provides that the Civil Code should apply to the general provisions of compensation for damages. As such, direct damages (eg, property damage and medical expenses), indirect damages (eg, loss of potential benefit) and compensatory damages are recognised. The Civil Code categorises the damages caused by intentional or negligent torts into ordinary damages and extraordinary damages. Ordinary damages are normally expected to incur by an instance of illegal conduct, while extraordinary damages may incur owing to the extraordinary circumstances of the injured and can be compensated only when the offender could have foreseen such extraordinary circumstances. There are no punitive damages in Korea, and, therefore, no compensation is available under the PLA other than that for the damages to life, persons and property caused by a product defect. With respect to the scope of the damages to life and persons caused by a product defect, on 30 March 2017, the National Assembly of Korea passed an amendment to the PLA, which took effect on 18 April 2018 (the ‘2018 amendment to the PLA’), allowing courts to impose exemplary damage not exceeding three times the amount of actual damages if the manufacturer knew of the alleged product defect and failed to take appropriate measures to prevent the damage to life or serious bodily injuries to persons. Unless it is certain that a party has no chance of winning the case, upon the request by a party or at its own discretion, the court may grant legal aid to a party unable to pay for the litigation costs. A party applying for legal aid must present to the court the evidence of its financial status. Legal aid includes deferred payment of court fees and attorneys’ fees and exemption from the deposit for court fees. The opposing party may not object to the court’s decision of granting legal aid other than the exemption from the deposit for court fees. 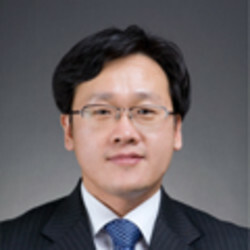 In addition, Korea Legal Aid Corporation, a public organisation, provides legal assistance (including representation during trial) to individuals with financial difficulties at minimal fees or without charge. There is no law or regulation specifically prohibiting third-party litigation funding in Korea. Contingency or conditional fee arrangements are permitted in Korea and there is no legal restriction on the maximum amount of such fee. It is not required for a party to inform its opponent of such funding. The ‘loser pays’ rule is applicable in Korea. After the case is completely closed (meaning the final closing of the case with no possibility of further proceeding), the prevailing party must apply for the court to assign the final allocation of the litigation costs. The court determines the final amount of each party’s costs for the proceedings, pursuant to which, the prevailing party may recover certain costs (eg, stamp tax, service of process fees and appraisal costs) from the losing party. However, only a portion (not the full amount) of attorneys’ fees may be recovered under court regulations. in the case of raw materials or components, the defect was attributable to the design of the product in which any raw materials or components have been fitted or to the instructions concerning manufacturing given by the manufacturer of the product using them. In addition, any special agreement excluding or limiting the manufacturer’s liability for damages under the PLA is invalid, unless a person who received a product in order to use it for his or her own business makes a special agreement excluding manufacturer’s liability for the damages on his or her business property (article 6 of the PLA). However, contractual liability for non-performance of obligations may also arise between the contracting parties. The 2018 amendment to the PLA has been enacted to limit the amount of exemplary damages awarded by the court and to mitigate the plaintiff’s burden of proof (see questions 13, 19, 24 and 36). would not usually happen without being someone’s fault. duty to settle any consumers’ complaints or damages owing to the defects of goods or services through providing necessary compensation, etc, and to indemnify them for any damages caused by non-fulfilment of obligation. A consumer may request compensation for damages caused by using products or services under the FAC. The Act on the Registration and Evaluation of Chemicals (Act No. 11789 of 22 May 2013) (K-REACH) came into force on 1 January 2015. K-REACH is intended to prevent hazards caused by chemical substances and products containing hazardous chemical substances in advance and to protect public health and the environment by systematically managing hazards and risk of chemical substances and establishing a chemical safety management programme that requires manufacturers and importers of certain chemical substances to register with the Ministry of Environment (MOE) prior to the manufacture or import and allows the MOE to identify them as toxic, permitted or restricted substance based on its assessment of hazards and risks of the substance. In addition to such administrative measures, K-REACH also imposes the burden on manufactures to reduce hazardous chemicals, develop a safe substitute or a new technology, and undertake other necessary measures, and on the manufacturers and importers to ensure that no physical or property damage will be caused by hazardous chemical substances contained in the product concerned. Such requirements under K-REACH would have the effect of placing consumers in a more favourable position in relation to the recognition of the existence of a ‘defect’ in a product liability case. Under the FAC, if an administrative agency considers that a company causes or may cause any danger or injury to consumers’ lives, bodies or property owing to a defect in goods furnished by the company, the administrative agency may order the company to remove, destroy or repair such goods, exchange them for other goods, refund the costs or prohibit manufacturing, import, sale or supply of such goods, and to repair relevant facilities or take other necessary measures, pursuant to the procedures determined by Presidential Decree (clause 1, article 50 of the FAC). In addition, in order to prevent any danger or injury to consumers’ lives, persons or property arising from goods, etc, the state should determine the standards the companies should abide by (clause 1, article 8 of the FAC). If a company manufactures, imports, sells or provides the products or services in violation of such standards, an administrative agency may order the company to suspend such act of violation or take other corrective measures (clause 1, article 80 of the FAC). A violator of such an order could be subject to imprisonment for up to three years or a fine of up to 50 million South Korean won (item 1, clause 1, article 84 of the FAC). In addition, a person who causes the death or injury of another by occupational or gross negligence may be punished by imprisonment for up to five years or by a fine of up to 20 million South Korean won under article 268 of the Criminal Code (Act No. 293 of 18 September 1953). Such provisions may be applied to a seller of a defective product who is deemed to have committed such gross negligence and caused the death or injury of another. if a manufacturer designs a chemical product with a risk of causing harm to human life and body, and manufactures and sells such a product the way it is designed in violation of such a high standard of obligation to prevent risks, it is appropriate to recognise that, unless special circumstances exist, such chemical products have a design defect. In determining the existence of a product defect, the Korean Supreme Court considers various factors such as a common understanding of the society, characteristics and usage of a product, ordinary form of use, expectation of users, expected risk, users’ awareness of risk, possibility of users’ avoidance of risk, possibility and economic costs of alternative design, and relative advantages and disadvantages of the current design and the alternative design (see Supreme Court Decision No. 2007DA52287, dated 28 February 2008). defect in warning: conditions that a manufacturer fails to give reasonable explanations, instructions, warnings and other indications on the product, while occurrence of damage or risk caused by the product could otherwise be reduced or prevented. Prior to the 2018 amendment to the PLA, the PLA did not provide for allocation of burden of proof, and, therefore, as in other civil litigation, the plaintiff had the burden to prove the existence of defect, occurrence of damage and causation between the defect and the damage, although the courts could, based on the precedents, mitigate the plaintiff’s burden of proof in product liability cases. See question 19 regarding situations in which the existence of defect and causation between the defect and the damage is presumed. a person who presents him or herself as any person falling under the previous item by putting his or her name, firm name, trademark or any other distinguishable feature (his or her name) on the products, or a person who puts his or her name, etc, on the product in a manner mistakable for any person falling under the previous item. When a manufacturer is unidentifiable, the person who supplied the product for profit, in a form of sale or lease, etc, shall be liable for damages, if the supplier knows or could have known the manufacturer’s identity but fails to inform the injured party (or legal representative) of the manufacturer’s identity within a reasonable time (clause 2, article 3 of the PLA). There is no specific provision regarding causation under the PLA prior to the 2018 amendment to the PLA. Accordingly, the plaintiff had the burden to prove causation between defect and damages under the general theory and the proof of causation should be sufficient for the court to exclude any reasonable doubt, although with respect to the damage caused by high-tech products manufactured by mass production, the court could mitigate the plaintiff’s burden to prove causation between defect and damage because it is very difficult for consumers to scientifically and technically prove the defect and causation between the defect and damages, which is now reflected in the 2018 amendment to the PLA (article 3-2) (see questions 19, 24 and 36). A manufacturer cannot be exempted from liability if the manufacturer fails to take appropriate measures to prevent damages even though the manufacturer, after delivery of a product, knew or could have known of the defect in the product (clause 2, article 4 of the PLA). Also, the FAC prescribes that, upon discovery of a material defect in the goods or services provided to consumers that causes or may cause any danger or injury to consumers’ lives, persons or property, a company must report to the administrative agency (clause 1, article 47 of the FAC). In the case of a defect, a company should remove, destroy or repair the relevant goods or services, exchange them for other goods or services, refund the costs or prohibit manufacturing, import, sale or supply of such goods or services and take other necessary measures (article 48 of the FAC). The PLA provides for a 10-year long-term statute of limitations and three-year short-term statute of limitations, and the statute of limitation runs with whichever occurs earlier. Specifically, a claim under the PLA should be brought within 10 years of the delivery of the defective product and within three years of the plaintiff’s discovery of damages and relevant liabilities. For the damages caused by harmful substances or the damages that become apparent after a certain latent period, the long-term statute of limitation will be calculated from the occurrence of damages. State-of-the-art or development risk defence is recognised in the PLA, which prescribes that a manufacturer may be exempted from liability if the manufacturer proves that it was not possible to discover the product defect by the state of science or technology at the time of supply of the product. The manufacturer has the burden of proof for such defences. However, a manufacturer cannot be exempted from liability if the manufacturer fails to take appropriate measures to prevent damages even though the manufacturer, after delivery of product, knew or could have known of the defect in the product. The PLA prescribes that ‘the manufacturer shall be exempted from the liability if the product defect was due to manufacturer’s compliance with the standards provided by the laws or regulations at the time of delivery of the defective product’. The manufacturer has the burden of proof in such a case. See question 18 for the statutory defences under the PLA. The appeals process in product liability cases is the same as in other civil cases in Korea. A party may appeal the decision of the trial court (namely, district court) to the High Court, and the High Court’s decision can be appealed to the Supreme Court. The appeals must be filed within two weeks of the receipt of the lower court’s decision. As the appeals proceedings at High Courts are conducted by trial de novo, the facts or evidence not presented to the trial court can be submitted and there is no time limit to submit the reasons for the appeal. However, the reasons for an appeal to the Supreme Court should mainly discuss questions of law and should be submitted within 20 days of the receipt of notice that the Supreme Court has received the case records. If the reasons for the appeal are filed after such a period, the appeal will be dismissed by the Supreme Court. Filing an appeal provides a practical benefit that it may suspend the enforcement of the court’s decision. If the court renders a decision recognising a plaintiff’s claim for damages, a provisional enforcement order is also issued and enforcement of the order can be made based on the first court’s decision, without closing the case. However, the appellant may request for the suspension of enforcement when filing an appeal, and the suspension of enforcement may be ordered on the condition of providing security. If an order of provisional enforcement is attached to the judgment of the appeals court (namely, the High Court), the request for suspension of enforcement is usually rejected even if an appeal is filed with the Supreme Court. Even before the PLA became effective on 1 July 2002, such legal principles had been recognised in many precedents. However, the PLA provides clearer definition of the conditions and scope of product liabilities. In Korea, the introduction of the PLA was designed to strengthen the obligation of enterprises to ensure product safety and promote consumers’ rights and interests. Efforts to promote consumers’ rights and interests are active in Korea owing to the high level of consumer awareness, educational background and keen interest in their rights developed during the process of significant economic growth within a short period of time. As a result, manufacturers must pay great attention to consumer safety as well as protection of consumer rights and interests, which has been reflected in changes to legislature. For example, the FAC stipulates the obligation on entrepreneurs to take actions necessary to protect consumers from any harm to their safety and that the government may collect and destroy products that cause harm to consumers. Also, collective lawsuits were introduced in 2008 to allow consumer organisations to file a lawsuit for individual consumers if their rights and interests are harmed by enterprises’ violations of the law. There have not been many cases of collective lawsuits, but such changes have led to the increase in enterprises’ awareness of consumer safety and voluntary efforts to improve their product quality such as product recalls when defects are identified in their products. The 2018 amendment to the PLA is intended to mitigate consumers’ burden of proof in product liability cases and adopt the punitive compensation system (see question 36). There were numerous instances of deaths caused by an outbreak of serious lung disease presumably caused by humidifier disinfectants since their first release into the Korean market in 1997. Although in August 2011 the Ministry of Health and Welfare and the Centre for Disease Control and Prevention announced their findings that the use of humidifier disinfectants was presumed to be the cause of the lung disease, manufacturers and distributors of the humidifier disinfectants did not take them off the market for the reason that there was no clear causal relationship between the lung disease and the humidifier disinfectants. 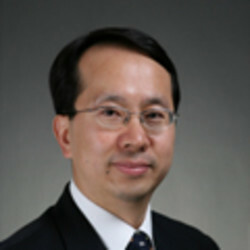 With public sentiment and media reports demanding the truth, the Korean government agencies, including the special investigation team of the prosecutors’ office, conducted investigations that revealed that the manufacturers of the humidifier disinfectants manipulated and concealed the disinfectants’ toxicity test results. The manufacturers publicly apologised to the victims who were injured by the humidifier disinfectants and voluntarily offered to pay compensation for their injuries. Some of the victims brought lawsuits against the manufacturers and succeeded. This incident served as an impetus for the adoption of the long-standing controversial punitive compensation system in the PLA. in light of the applicable laws and regulations and common social awareness, the manufacturers of alcohol beverages have properly carried out the duty to warn. There is a high level of awareness regarding consumer rights in Korea. Accordingly, collective lawsuits by consumers and the consumer dispute mediation process were introduced. The class action lawsuit has not yet been introduced in Korea, but the Agent Orange, automobile gas emissions and cigarette cases could be considered as class action lawsuits. Recently, customers who suffered from financial companies’ accidental leakage of personal information jointly filed a lawsuit against the financial companies. These cases raised public controversy over the necessity for a legal system that allows a group of victims having the same cause to efficiently file a lawsuit. As such, the class action lawsuit similar to that permitted under the common law will likely be introduced in Korea in the near future. Moreover, the passage of the law amendment for the introduction of a punitive compensation system is likely to cause the easier filing of more lawsuits. would not normally occur in the absence of a defect in the concerned product, unless the manufacturer of the concerned product is able to prove that such damages resulted from a cause other than the defect in the concerned product. In addition, the punitive compensation system newly adopted in the amended PLA requires manufacturers who failed to take necessary measures to cure a known defect that caused death or serious physical injury to pay compensation for damages up to three times the amount of actual damages suffered by the injured party. The 400 professionals of Shin & Kim provide comprehensive legal, accounting, tax, compliance and regulatory services.Our clients include multinationals, Fortune 500 companies, Korean conglomerates, foreign and domestic financial institutions, small and medium-sized enterprises and government agencies from all levels of government.